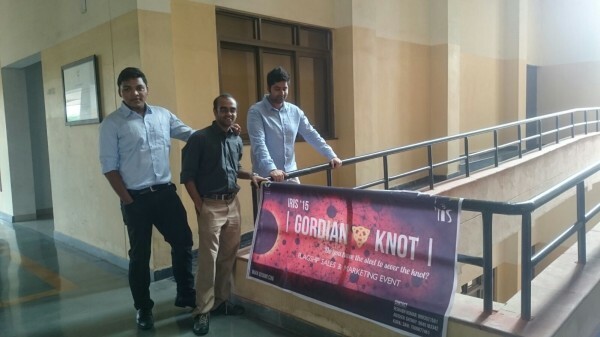 The entry process to become a finalist for the event at IIM Indore was a humongous task. The UNGOOGLEABLE marketing quiz was the first round, the second round was a simulation where 16 teams were given virtual cash and had to setup up restaurants, hotels, entertainment centers in a fictional city and promote it on Facebook using a mix of posters, news articles, posts, videos, etc. We sailed through this task with the optimum mix of promotions and wise spending, thereby sealing our spot in the final. The campus finals were set in the beautiful and sprawling campus of IIM Indore. The first round was all about strategy where we had to bid for items to relaunch an obosolete product – the walkman. The intense bidding was followed by a 4P – analysis – Product, Place, Promotion, Price and the final bit consisted of a series of breaking news articles which would affect our relaunch and we had to decide with either to stick or switch our strategy of relaunching the product. The second round was a negotiation round with the teams split into retailers and suppliers where the retailers were supposed to negotiate the price and quantity to be supplied for 4 quarters based on sales trends. Both the retailers and suppliers played hardball to ensure each of them got the best prices and supply and finally judged based on their ROA (Return on Assets). We used a clever ploy of negotiating with the supplier whom we shared a good chemistry and doing last minute negotiations to get the best deal and pulling out deals at the last minute to prevent the supplier from negotiating with other teams and also dent their chances to win. The third round was related to “Growth Hacking” a term synonymous with the startup ecosystem prevalent today where startups resort to frugal online marketing techniques. A case based round where he had to choose the most appropriate hacking techniques. Over the night we were given our fourth round to create an e-commerce site on paper using colored sheets, crayons, glue, pencils etc. The site had to be designed in a way that we maximize engagement clicks and minimize execution clicks. A panel of 10 students evaluated us on the ease of use, features and customer engagement of the site. The fifth and marquee round was the City round where we were provided with Rs.1000/- and let loose at Sarafa Bazaar a crowded city market. Our task was to maximize the Rs.1000/- in 2 hours. We sold everything from handbags, wallets to tea. The winning team managed to persuade a shopkeeper to give them Rs.1000/- with the promise that they will increase footfalls in the store. It was an arduous task and made us realize the effort that is required to sell to people and the amount of craft and persuasion skills to become a successful sales man. The next round had the best setting – midnight at the football ground where teams had to nominate one person to participate – the person had to work through a maze in the field by answering questions related to brands, marketing theories. The final round set for Day 3 was about Surrogate marketing – the technique used by alcohol, tobacco companies which are prohibhited from advertising take an indirect route of marketing through music cds, clothing line etc. The scenario was if a shampoo was banned how would you still advertise to reach the market. Overall the experience was mind blowing and kudos to the organizing team for putting together a fantastic series of rounds. 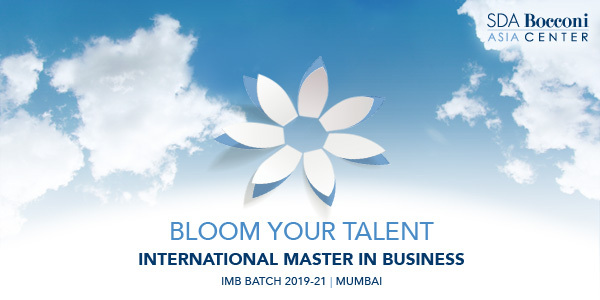 The participation will go a long way in improving our learning as B-School students and hone our skills to be better managers.